Gary Coe Jewellers offer a full range of jewellery specialising in Platinum, Diamond Rings, Diamond Crosses, Diamond Earrings, Engagement Rings, Diamond Pendants, Diamond Set Weddings Rings. We specialise in providing individually created items of Personal Jewellery that are hand-crafted by Gary Coe our long experienced craftsman who is also the Proprietor of the business. 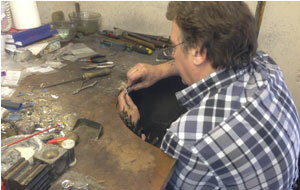 He completed his "Hatton Garden" apprenticeship over 40 years ago and has spent his entire career in designing and manufacturing personal jewellery for the discerning buyer. Aside from the design and manufacture of new jewellery, we also specialise in TOP QUALITY Repairs, Renovations and Replacements. 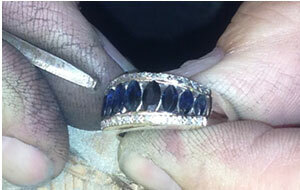 We can recreate your cherished lost/stolen items of jewellery from pictures you may have. Deal direct with Gary and cut-out the middle man.